We Are Flashmob New Orleans! 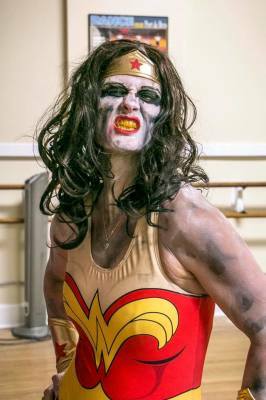 We do casting, wedding proposals, engagements, tv shows, film, music videos, private parties, late night club events, charity, social media, freelance, corporate classes, reenactment, costume themed balls,and anything and everything under the sun. 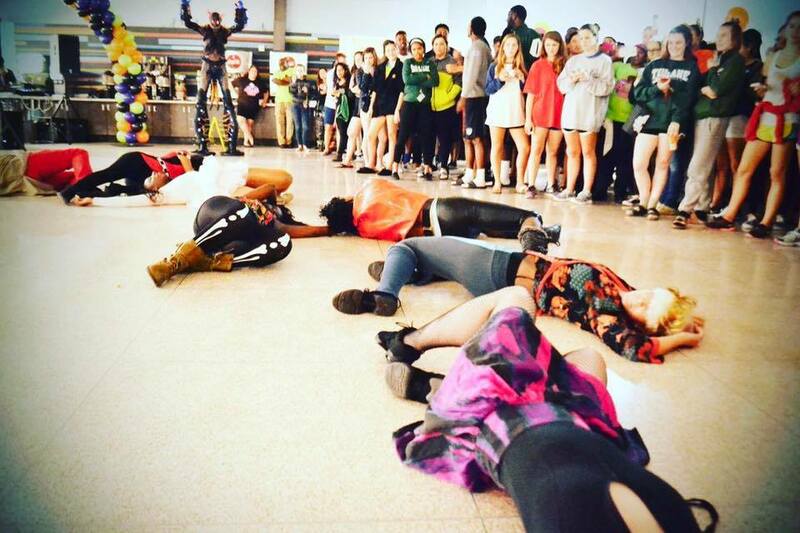 Not only do we perform flashmob's but we are also an actual performing dance company. debuting new choreography periodically! So if you can find a place for us....we are there! 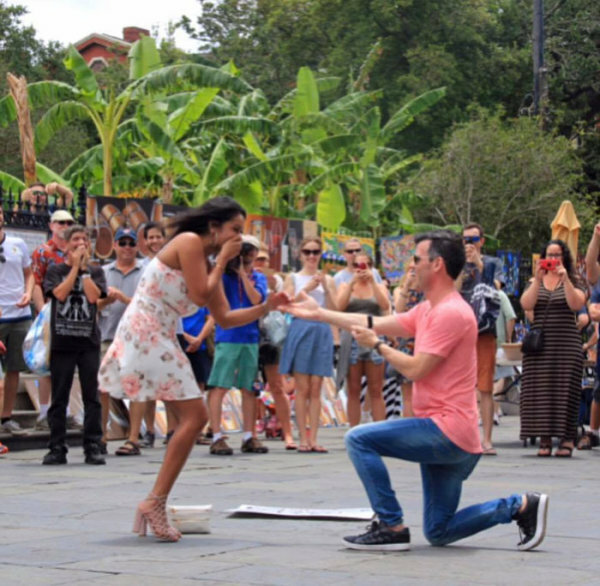 "I joined Flashmob New Orleans because I always wanted to do this ..it was on my bucket list. 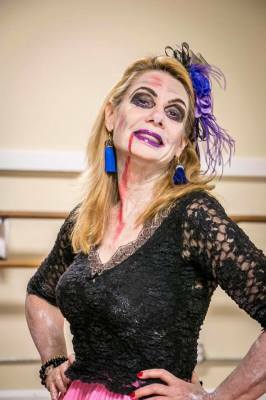 ..everyone who knows me knows I love dancing...took lessons as a child...never forgot my first tap dance lesson...and now as old as I am (61) I have renewed my love of it...when I took Kynt's Thriller Halloween 2016 lessons I thought I would never remember the dance sequences. ...my body ached (in a good way)...I sweated... a lot! But after 8 weeks of practice I did it...WE did it! 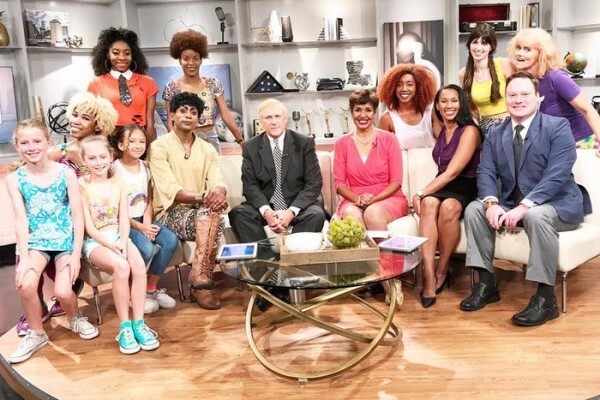 I had a blast! Made new friends and have renewed my passion...thing is if I hadn't started it, I would still be dreaming of doing it!... 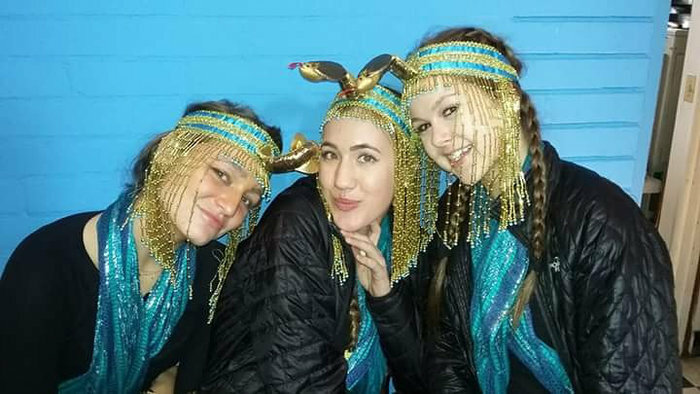 So, if it's a secret dream of yours to dance again...or for the first time...attend a class...sign up...it's fun, exciting and a great way to lose weight, and get in shape...meet new people, expand your mind and body....you will never regret it....love, peace and dance! 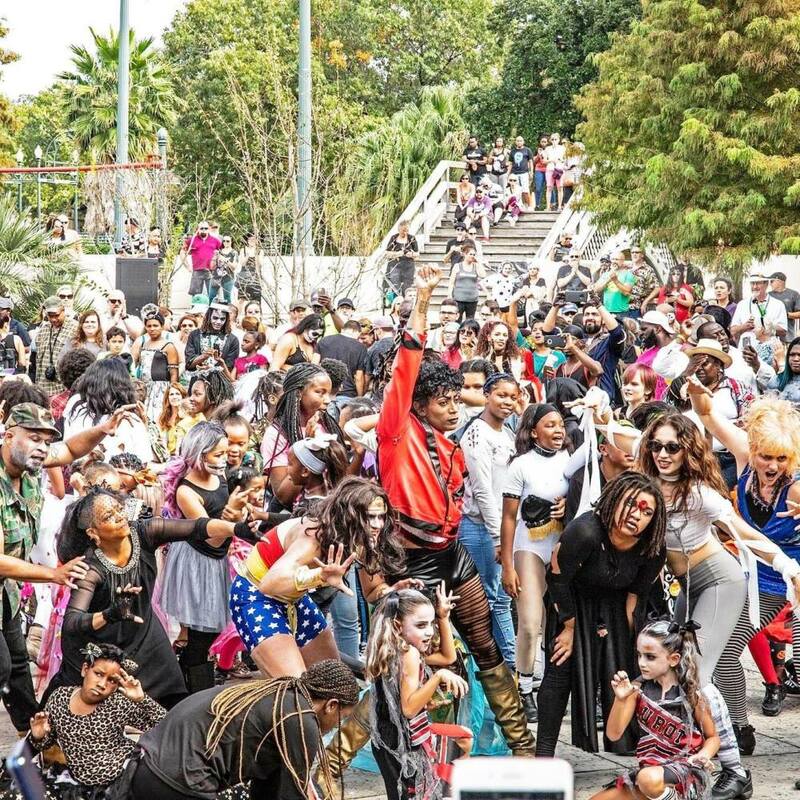 Flashmob New Orleans, the first local community based dance company that uniquely offers people from every walk of life the opportunity to dance and perform in New Orleans, Louisiana is known worldwide for their annual “Michael Jackson Thriller Flashmob” at New Orleans City Hall. Shhhhhh.... 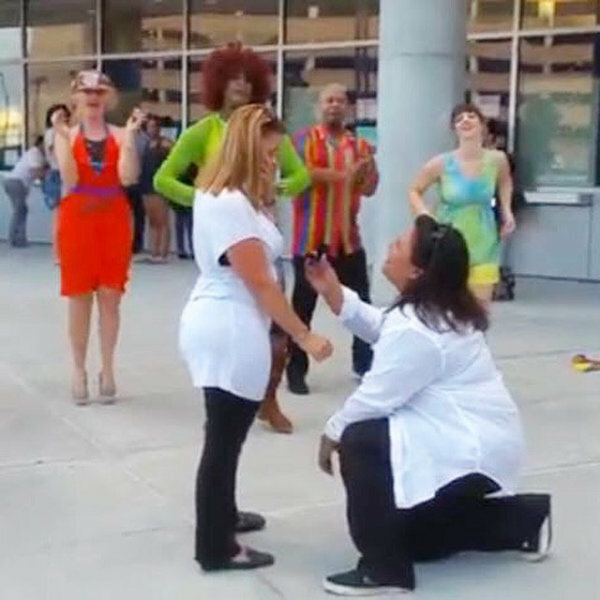 It's A Secret Flash Mob Marriage Proposal! 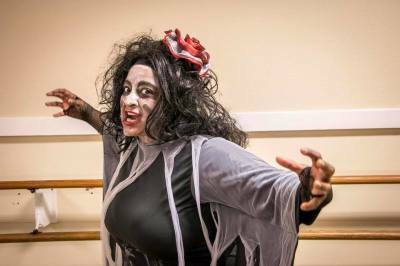 NEW CLASSES BEGIN JAN. 12, 2019! 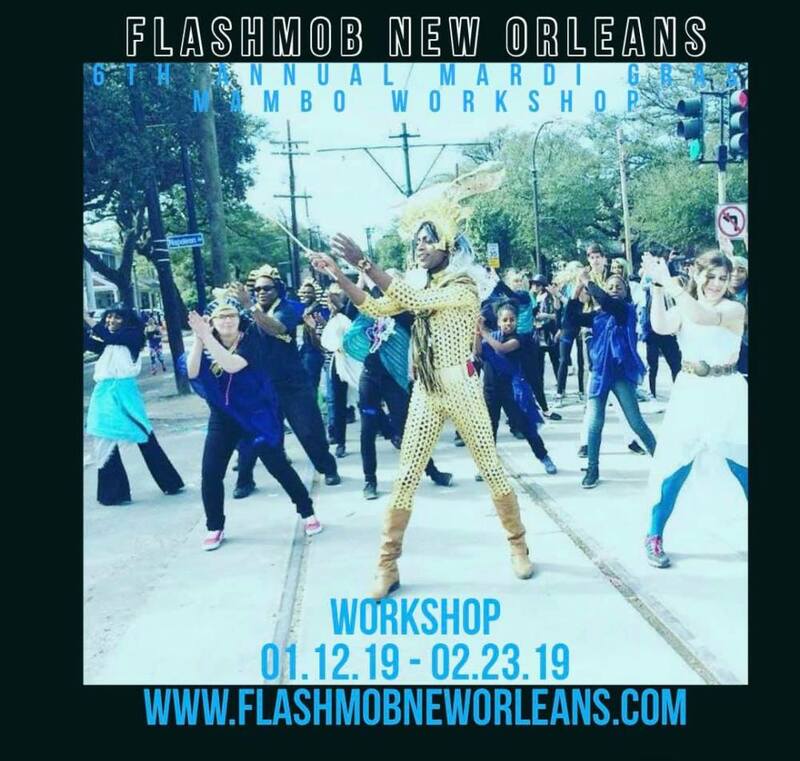 Flashmob New Orleans 6th Annual 2019 Mardi Gras Mambo flash mob dance classes to be hosted by the New Orleans School of Ballet! 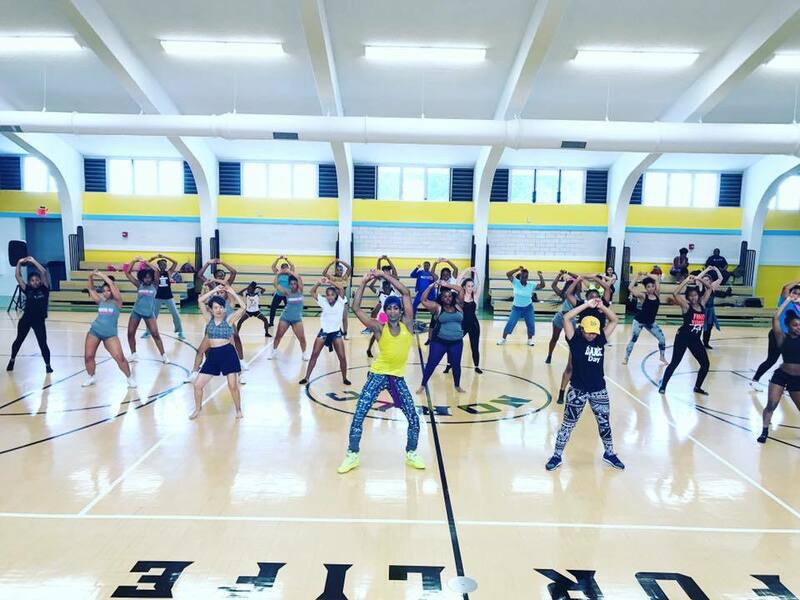 Learn the choreography and perform a flash mob! 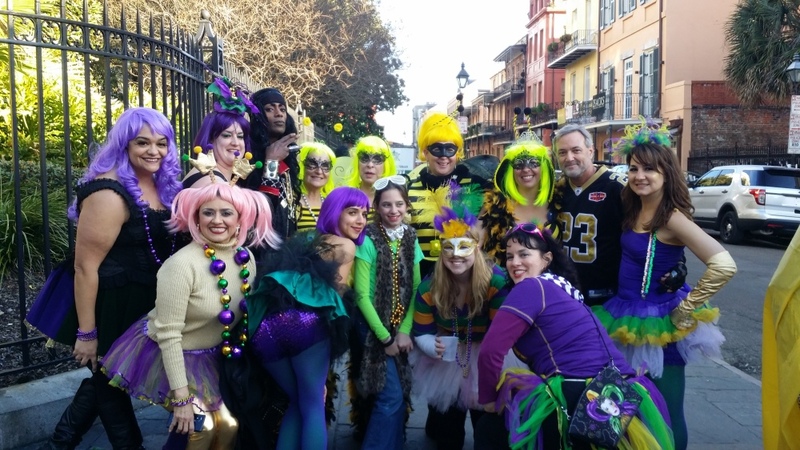 Mardi Gras fun for the entire family! To register, email: [email protected] or call 504-453-6991. 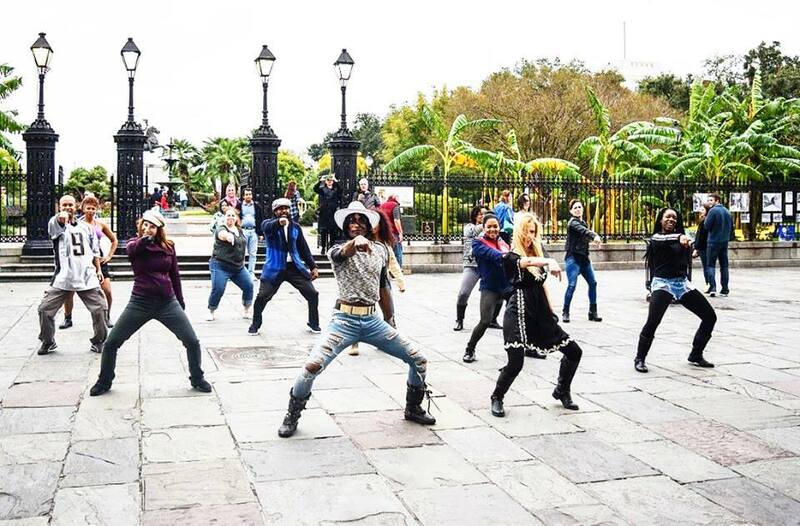 Flashmob New Orleans, the local community based dance company known for the annual Michael Jackson "Thriller" Flash mob at Louis Armstrong Park and New Orleans City Hall, is holding early registration for its 6th Annual Mardi Gras Mambo Flash Mob Workshop 2019 which is hosted by the New Orleans School of Ballet. The seven-week session is open to the public and will be held Jan. 12 through Feb. 23 on Saturdays, 717 Adams St. at the corner of Adams and Maple streets. 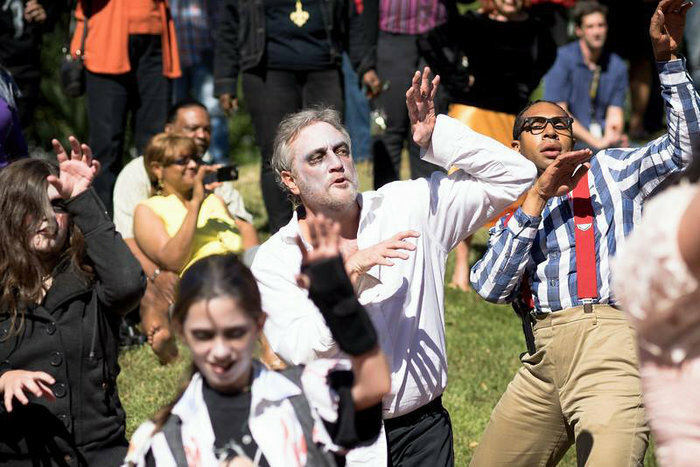 The flash mob workshop will be held from 3:00 to 4:30 p.m.
Flashmob New Orleans founder and artistic director, Loyola Ballet alumnus, local actor, dancer, choreographer and performer Kenneth "Kynt" Bryan, will lead classes. 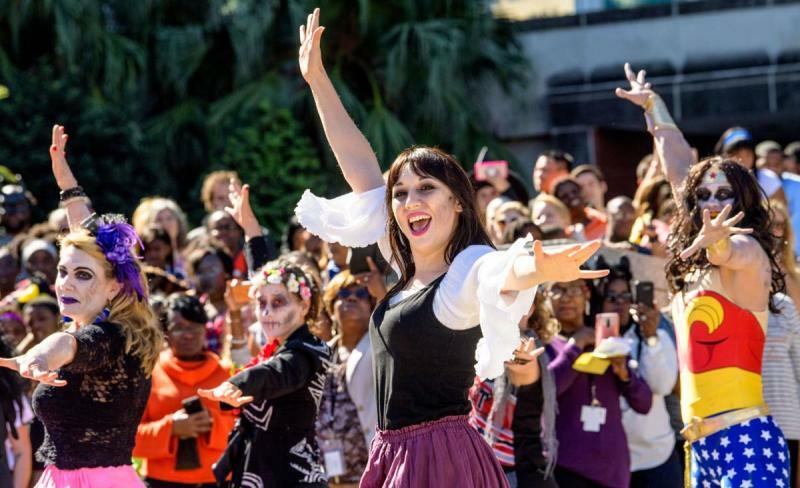 Several classes will focus on the choreography of traditional New Orleans dances, which include a medley of Mardi Gras favorites all synched into a flash mob extravaganza. 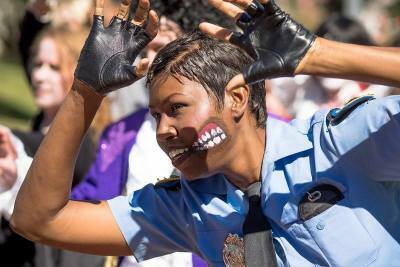 Similar to the "Thriller" and "Beat It" flash mob series, "Mardi Gras Mambo" will trace the origins of New Orleans music, dance, and will conclude with several secret flash mob performances coinciding with Mardi Gras 2019. 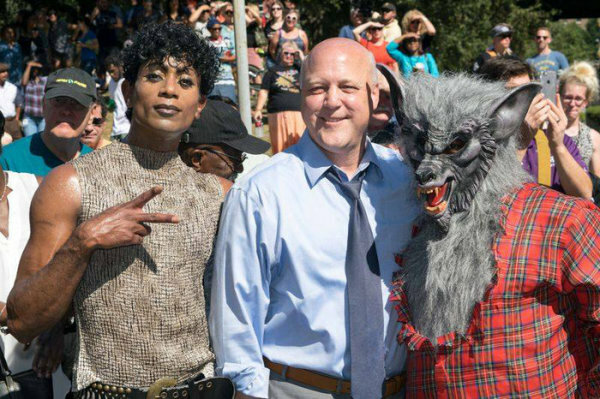 Bryan graduated from Tulane University in 2012 with a master's degree in liberal arts and currently works as an actor, model and professional dancer. 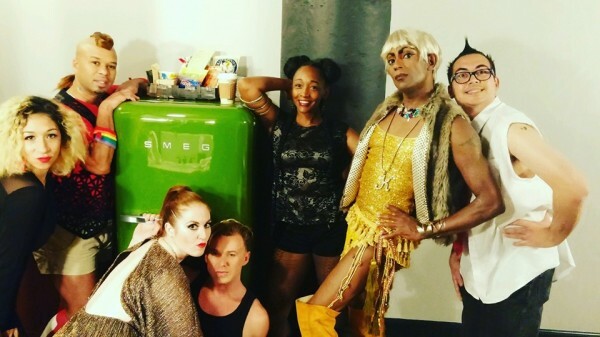 He has been a featured guest artist with Loyola Ballet since graduating with a special double contract dance degree in 2002 and has been teaching dance classes throughout the City of New Orleans for numerous schools and organizations for more than twenty years. This event is open to the public and designed for the family. The cost is $70 for the entire session or $10 per individual class.